As I turned to watch the special go past I saw an approaching headlight. I waited and was surprised (pleasantly) by the sight of two 175s in multiple, one of which is in the new TfW grey and maroon (very dull). 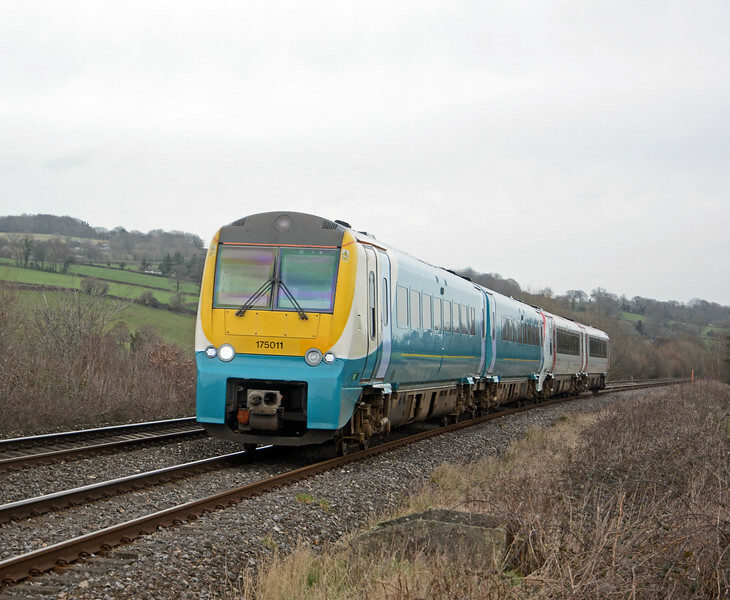 The train is the 06:28 Holyhead to Cardiff (arr 11:13). The rear unit was empty so was probably being ferried from Chester(?) to Cardiff.